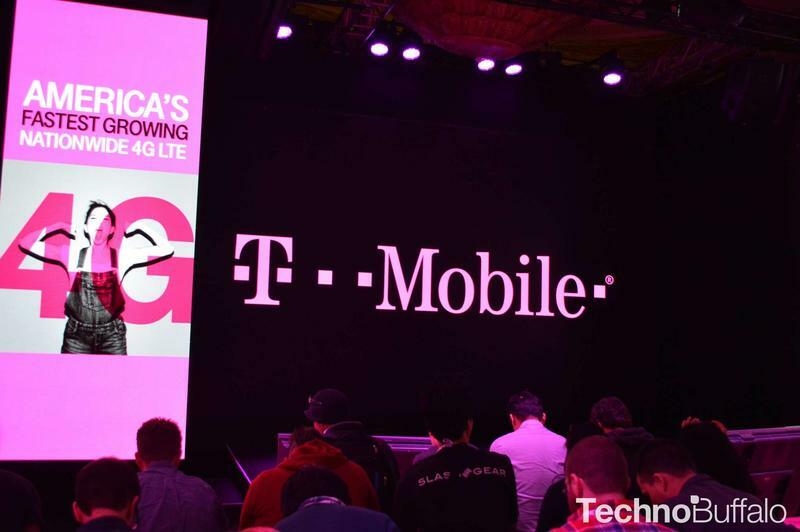 In an effort to ramp up its most recent Break Up program, announced at CES last week, T-Mobile is going after smaller regional carriers to get consumers to make the switch. Information provided to Re/code reveals John Legere and his troops are attempting to attract customers on dozens of carriers across the nation, such as U.S. Cellular, by opening up its program on a wider scale. If you're stuck with a two-year contract, T-Mobile will pay you up to $350 for breaking said contract—AT&T, Verizon and Sprint are still among those carriers targeted by T-Mobile. Expanding even further, T-Mobile said it will also accept a wider range of smartphones consumers can trade in, and even accept damaged ones. Granted, you'll receive less credit if your smartphone is broken, but the option gives customers an avenue to part ways with what would otherwise be an expensive paperweight. "What we are trying to do is bring an end to unfair one-way onerous contracts in this country," T-Mobile marketing chief Mike Sievert said. "This is not just a promotion." That's some stern language that can be interpreted only one way, which is what T-Mobile wants. T-Mobile's program is still in its infancy, yet Sievert said 80,000 some odd "breakup letters" have been posted to various social media sites, showing the influx of folks headed to Legere's renovated wonderland. Mind you, when someone states their intent to end their contract with a particular carrier, that doesn't mean they'll go through with it. However, if you do look through the "#breakupletter" hashtag on Twitter, there's quite a bit of evidence T-Mobile's program has been a success; Sievert declined to share specifics on how many have switched thus far. Doing my own research, Sprint and Verizon are mentioned often. T-Mobile CEO John Lagere has introduced plenty of aggressive campaigns in an effort to get people to switch from rivaling carriers, and early data suggests the carrier's fortunes are on the uptick. That hasn't stopped other companies from fighting back, however—AT&T preemptively announced an incentive program before T-Mobile, offering up $450 to make the switch over from T-Mobile. Still, competing programs likely won't sway Lagere's unflinching bravado; that much was clear when he tried attending an AT&T party at CES, and was subsequently asked to leave. Now that T-Mobile is inviting customers from a wider range of carriers, it remains to be seen just how many break up letters will be sent over the next few months. T-Mobile is confident, that's for sure, saying its latest unCarrier initiatives put the carrier "in a really good place to profitably grow this company and serve millions more customers."